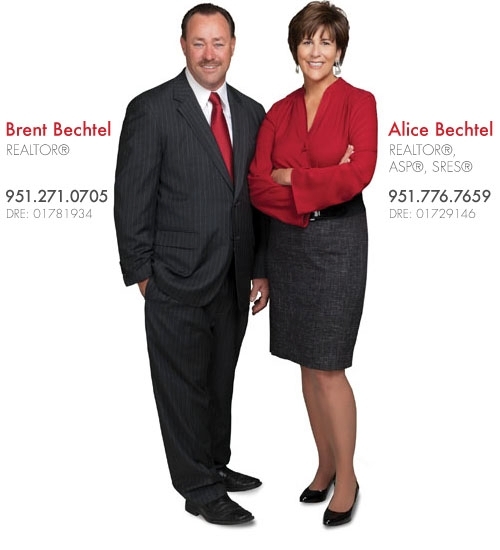 Alice & Brent serve as full time REALTORS with Keller Williams Realty. We want to be your "Realtors for Life." We have lived in Riverside for 30+ years and love our community. We have developed great relationships with professionals who provide service to homes; ie. handymen, landscapers, Heat/AC, roofers, etc. If you need any of those services we can provide you with names and numbers. Same holds true in the lending business. We can give you the names and numbers of lenders we trust. Alice's has designations of ASP-Accredited Staging Professional. SRES-Seniors Real Estate Specialist. We are active members of the Greater Riverside Chambers of Commerce. We are serve as President of the So Cal Christian Network and are leaders at Saddleback Christian Church/Corona Campus. We are expanding our business to include LUXURY HOMES. We are pleased to see that we have been using "Luxury Listing Techniques" on our listings. You'll want to use an agent that promotes your home professionally to earn the highest amount possible. That's our goal! The Inland Empire is a fabulous place to live. Our area covers many unique communities including Corona, Norco, Riverside, and La Sierra to name a few. Home prices have now stabilized and it is a great time to buy or sell!